Owners of older homes and businesses need to have their properties tested for asbestos. Until recently, asbestos was used in many different kinds of building materials. Since the discovery that prolonged exposure to the tiny asbestos fibers can have tragic consequences on our health (including respiratory problems, cancer and death), asbestos needs to be removed promptly, thoroughly and effectively. 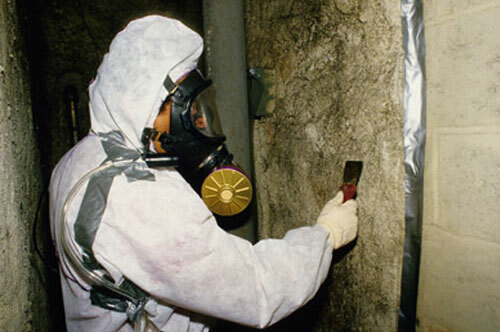 R&F Construction provides professional asbestos abatement services and has been in the property restoration business for more than 50 years. We can handle all kinds and sizes of asbestos cleanup and removal projects - past abatement projects include homes, schools, apartment buildings and large offices. We have the manpower, experience and equipment to get the job done safely and effectively. If you’re worried about asbestos on your property, call 1-800-228-7739 today!